Instead of using the TP-Link TL-R470T+ router at home which I’ve showed in a previous post [link], I have decided it’s time to take the plunge and start using proper router software, pfSense. pfSense is open-source router/firewall software. It comes with many advanced features and is often used in the enterprise, it’s probably overkill in the home but I enjoy having enterprise ready features at my fingertips! I was looking to host pfSense in a virtual machine but I felt un-easy running this on the same machine as I use for the rest of my network (Printer serving, IP camera recording, etc.). Also if the host went down, the Internet would too. A dedicated solution with low energy usage but with enough ‘oomph’, support for AES-NI and at least two network interfaces. My first thought was to check the device offerings from Netgate (The creators of pfSense), however I felt these were too expensive for my use case. Then I came across the Qotom Q150P-S08 on AliExpress. 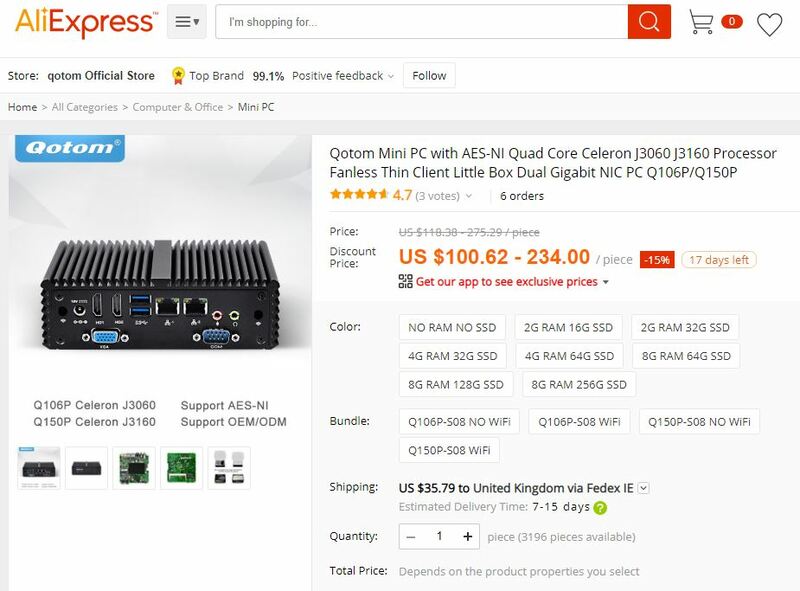 Screenshot below, click for a larger version or here for the AliExpress listing. The total came to around £120.00 including UPS shipping (tracked and insured), delivery took a couple of weeks but the device came intact ready for setup. I added some labels above the ports and a label for the device’s IP address to make this easier to troubleshoot if required in the future. 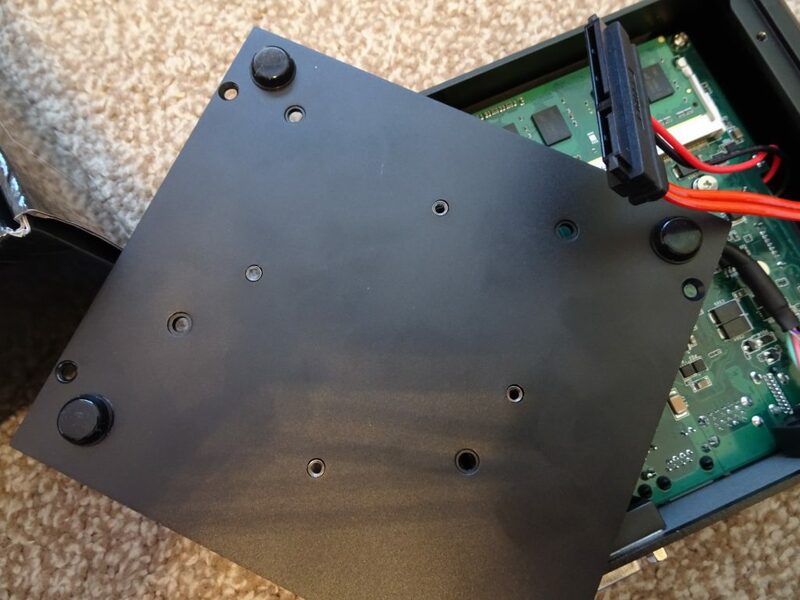 The components were extremely easy to fit, just remove the screws from the aluminium case and connect the components to the motherboard. 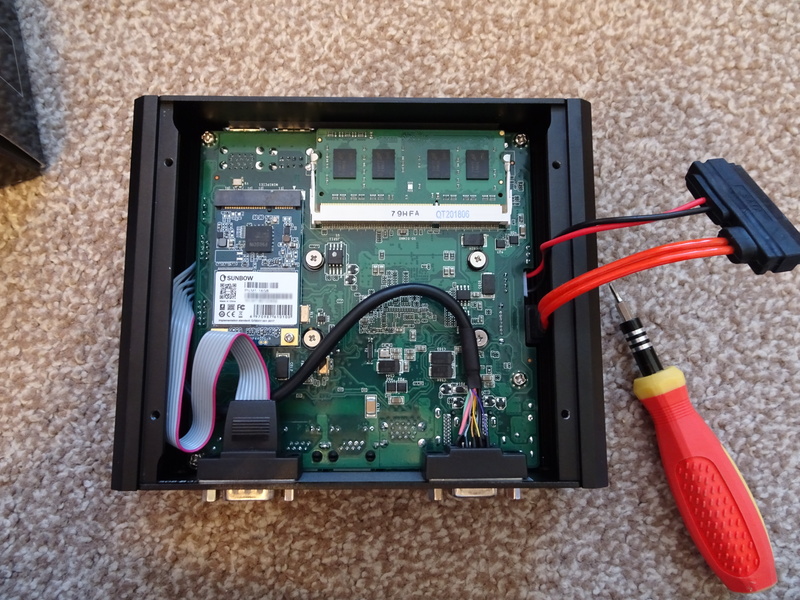 You have the option of mounting a 2.5 inch Sata hard drive, there is mounting holes on the underside of the lid, however I went for a 16GB mSATA SSD as pfSense was only going to be installed. After this was done, it was time to burn the pfSense ISO to a USB stick. I used Etcher running on Ubuntu 18.04 to do this. Once the machine was setup, I set my WAN and LAN network connections. 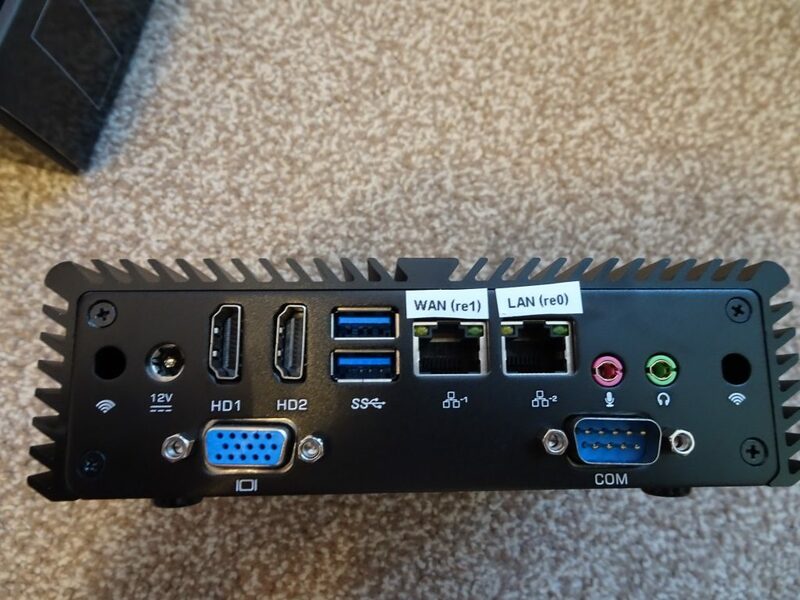 I then tested my 100MB Virgin Media connection and was happy to find the router maxed out my download speed with ease running over it’s two gigabit ports, and with the AES-NI support means it is ‘future-proofed’ for version 2.5 of pfSense. I have currently been running this 24/7 for a couple of months, the temperature reported by pfSense is always at 26.9 degrees and I have not had any lock-ups or other issues over this period. If you’re looking for a small mini-pc, the Qotom is definetlydefinitely a good choice.